Draymond Green is a professional trash-talker more than a basketballer. And he’s a damn good hooper, so that’s saying something. Even if he’s not the one dishing it out, he can still enjoy a good sledge. And in last night’s win over the Jazz, he sat back and enjoyed someone different throw some shade the other team’s way. Jonas Jerebko tipped in a Kevin Durant miss at the buzzer to take down the Jazz, who once had a 15-point lead in the third quarter. He then proceeded to let everyone know how he felt. After spending last season in Utah, he was shifted off to the Warriors, so he clearly had some feelings to get out. Likely directed at the likes of my fellow Aussie and trash talking God, Joe Ingles. 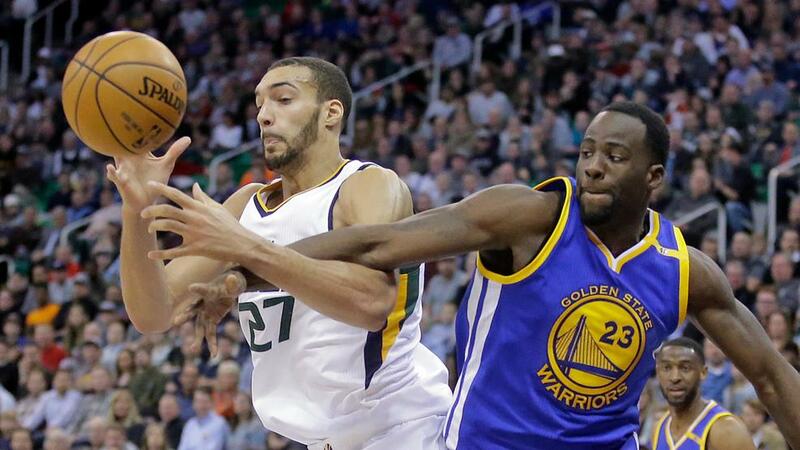 But don’t think for a second that Draymond didn’t get his own fun in this one, as the Warriors’ “emotional leader” had yet another mini-scuffle, this time with Jazz big man Rudy Gobert.